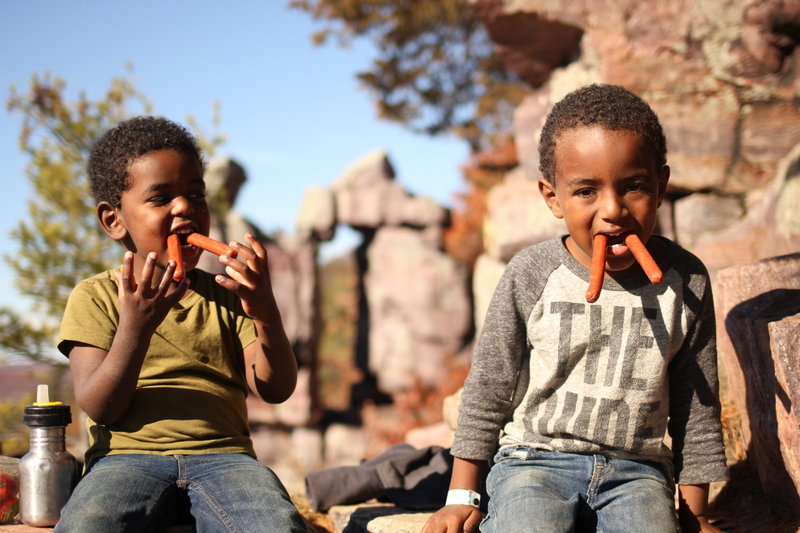 I took my boys on a bunch of new camping adventures this summer and one of them was to Madeline Island. Once I set up the tent I remembered the last time I was here was when Craig and I were newlyweds and I made protein noodle lasagna to make over the campfire. I’ll never forget it because I put the glass pan over the campfire to heat it and the pan shattered into pieces! 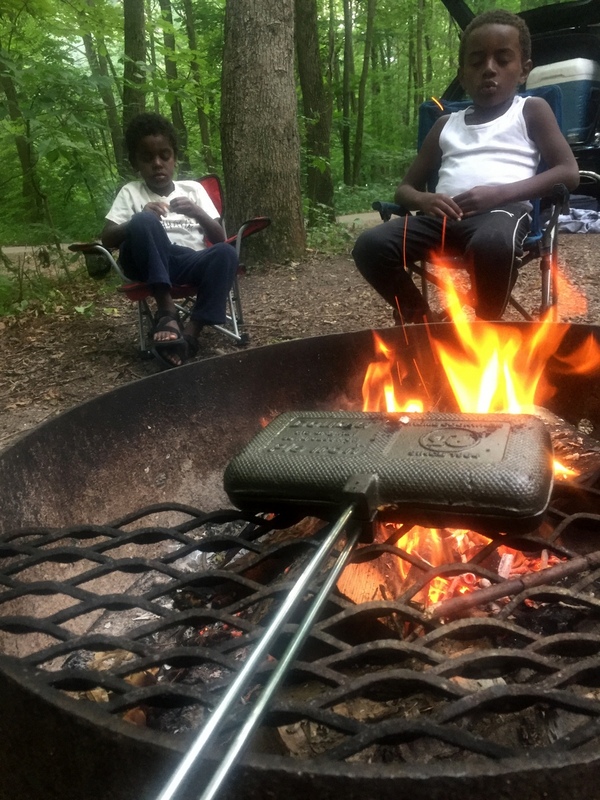 But anyway, I wanted to write a post about camping because I get emails daily about people falling off the wagon because of vacations and not knowing what to eat. I hope this post inspires you to stick to this lifestyle. 1. I crack eggs into Tupperware to avoid broken eggs getting all over the place. We usually have bacon and eggs for breakfast. 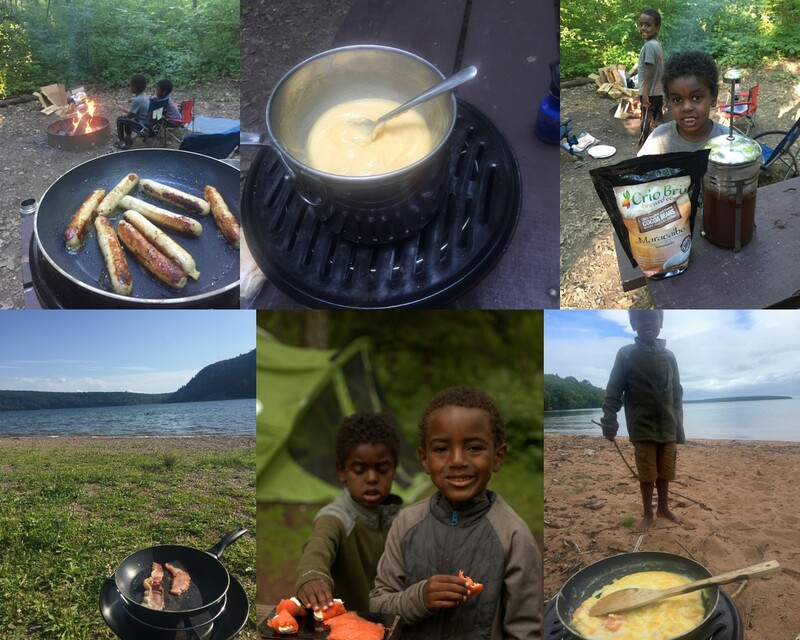 Other breakfast ideas (see photo collage below): sausage patties or sausage links, I made my hollandaise recipe ahead of time at home then reheated in a double boiler over the camp stove, Crio Bru for hot chocolate, bacon, and salmon sushi rolls (which was an easy breakfast on the last day so I could pack up while they ate). 2. I make homemade strawberry milkshakes in my blender at home to bring because I know everyone will be eating ice cream and milkshakes on the beach. 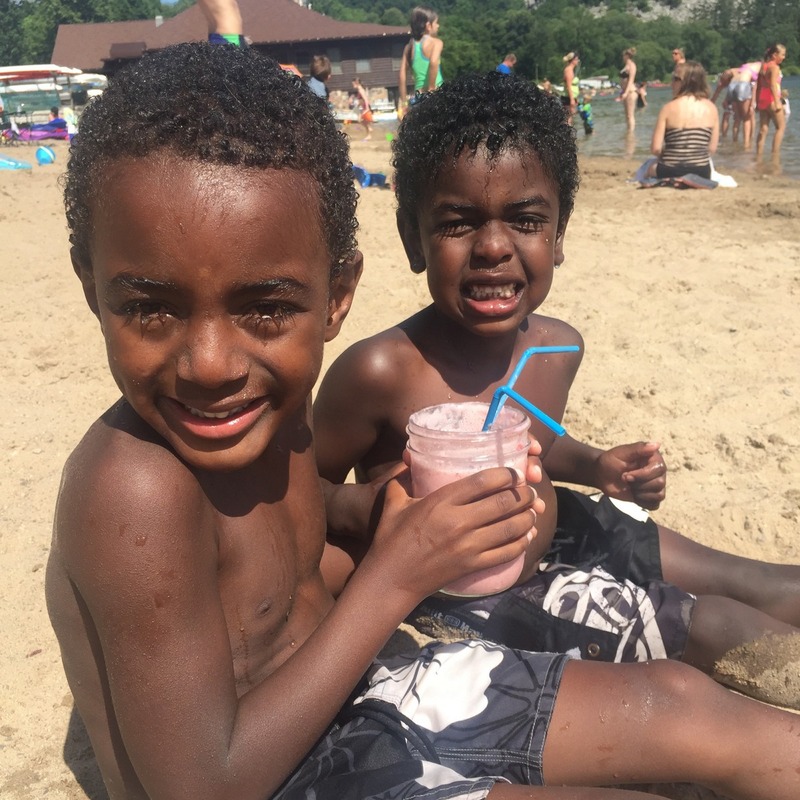 This way, my boys get to enjoy a treat on the beach too! I pack them in glass jars to store in the cooler. 3. I pack packages of hamburger, my “healthified” taco seasoning, shredded cheese, sour cream and Pork Clouds. I grill up the hamburger with taco seasoning and we have Taco Night! 4. 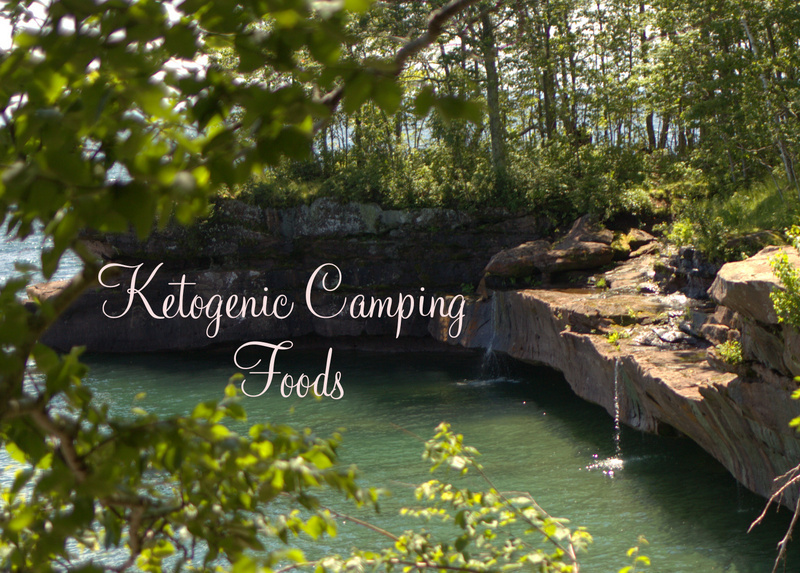 I pack Keto Bread in my cooler along with pizza fixings to make Pizza Hot Pockets over the fire. I also have packed cream cheese sweetened with Swerve as well as strawberries to make strawberries and cream Hot Pockets. (I add a touch of sweetness and onion powder). 6. 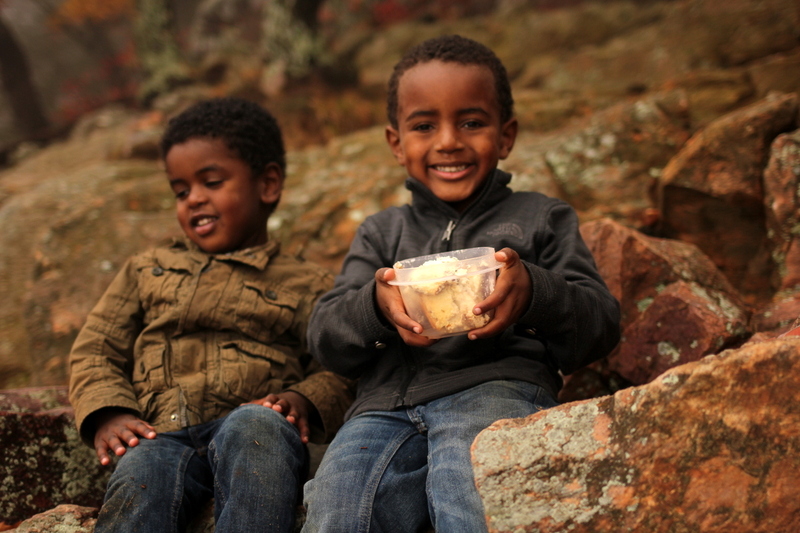 I make my Homemade Breakfast bars for easy snack for my boys on our long hikes. Recipe is in this cookbook. 7. Other things I pack are: Butcher box hot dogs, Brats and sauerkraut, hamburger and Keto Buns for hamburgers. 8. 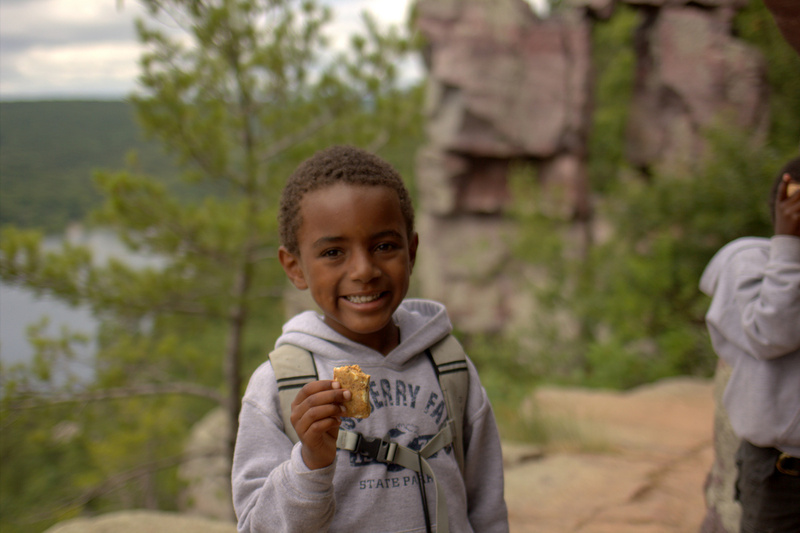 ChocoPerfection Bars: Nothing like a nice piece of sugar-free chocolate at the top of a long hike! 9. I pack my chili in little kid thermos for our first day of hiking. 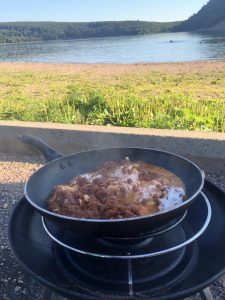 You can reheat this tasty chili over the camp stove in a pot. 10. I even pack leftover desserts like my “healthified” cheesecake in my cooler and pack on long hikes! 11. 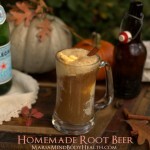 Homemade Root-Beer floats are always a welcomed treat! 1. 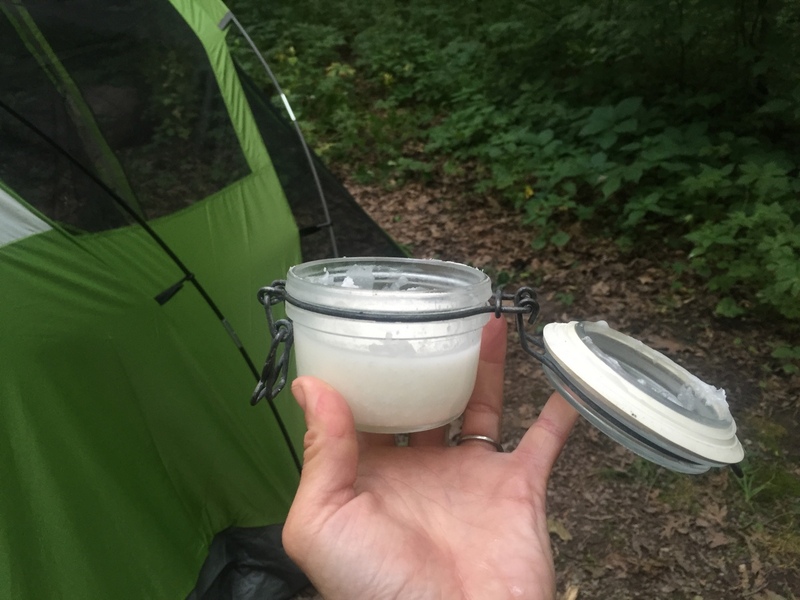 I pack coconut oil in a jar for lotion. 2. I pack hand weights and ab roller so I can get a workout in. I haven’t been to the gym all summer! I hate being inside! 3. 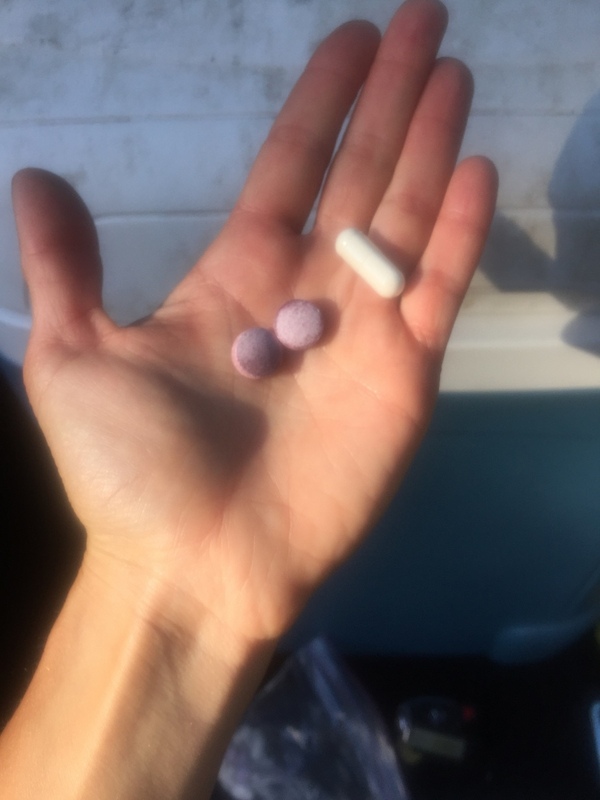 I pack probiotics for all of us! Click HERE for adult probiotics. 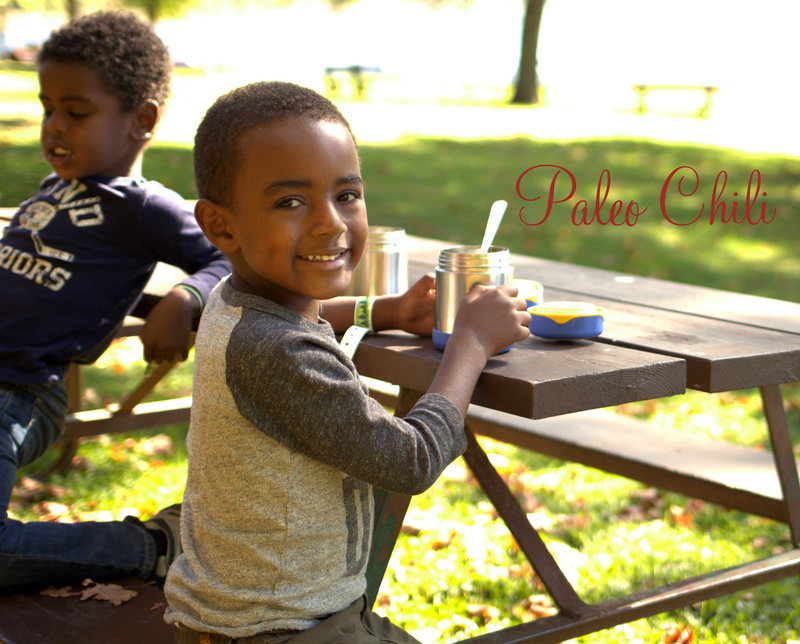 Click HERE for kids chewable probiotics. 4. 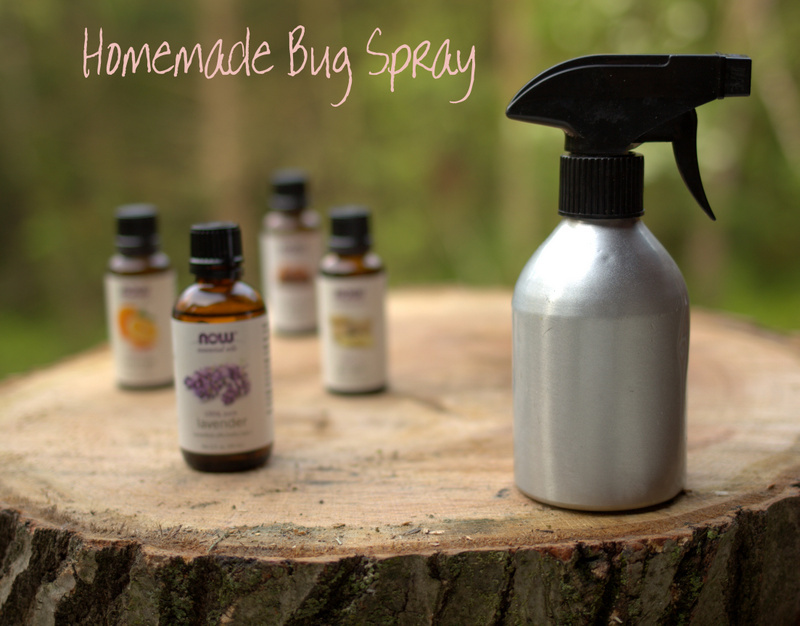 Homemade bug spray! Great for keeping bugs at bay. 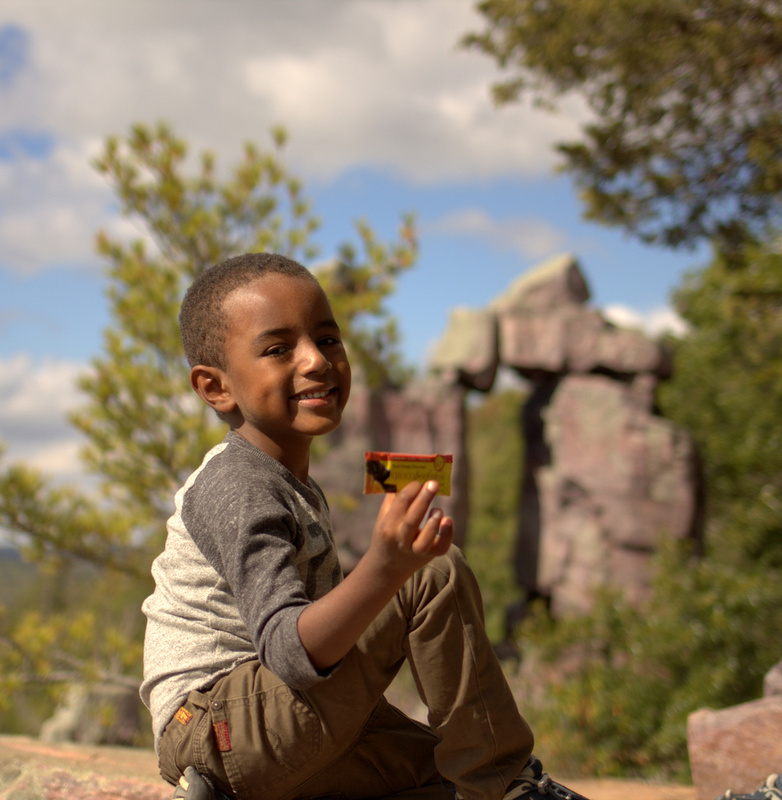 Most of all, my tip is to have fun and explore! Update from John! 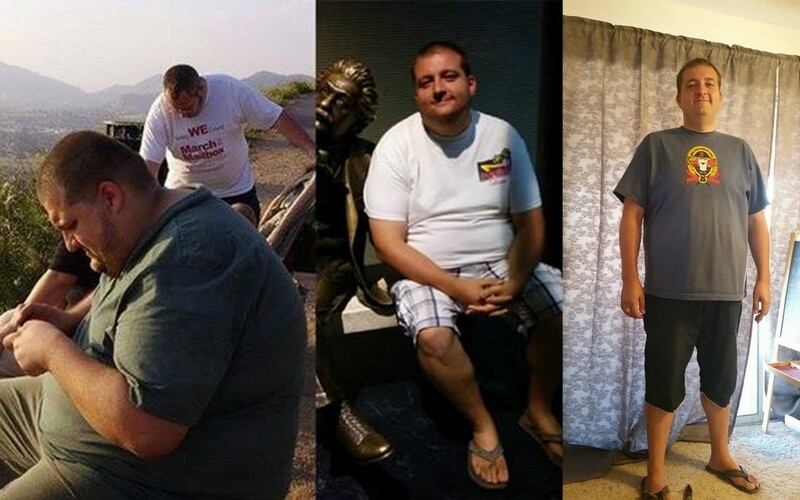 : “I have lost 150 Lbs in the last year and a half. My life is so different now, I had a son, after playing with him for 15 minutes I would need to sleep for 2 hours. I had Sleep apnea, high blood pressure, my hands would hurt so bad I had trouble holding my phone. Do you take a pro ionic on the daily, and what do you find happens when you don’t take it? Do you feel more grumpy? Yes. I take daily. Gut health is important for immunity too. Cuts risk of cancers; colon cancer. Helps with elimination too. 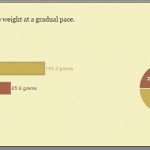 Any ideas about meals when weight of what you pack in is an issue? 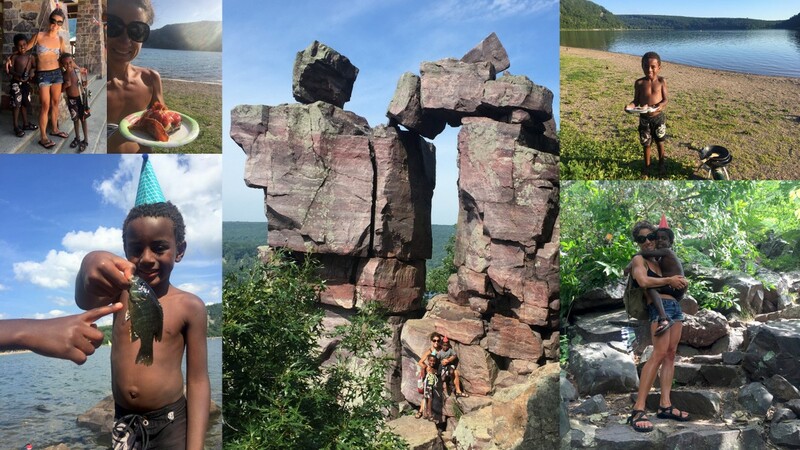 I recently went on a canoe trip to the Boundary Waters and because we have to portage, etc., we need to be mindful of the weight of everything we bring in and what is left over we carry out. Then I would do more intermittent fasting and pack fat bombs, beef jerky, pemican, smoked fish, Pili nuts, cheese crisps, almonds. If you have a backpack that is a cooler: cheeses, hard boiled eggs and such. Thank you Maria! I go camping nearly every weekend in the summer, so far I been able to stay on plan. I love reading you tips and getting new ideas! I Love all of your pictures . 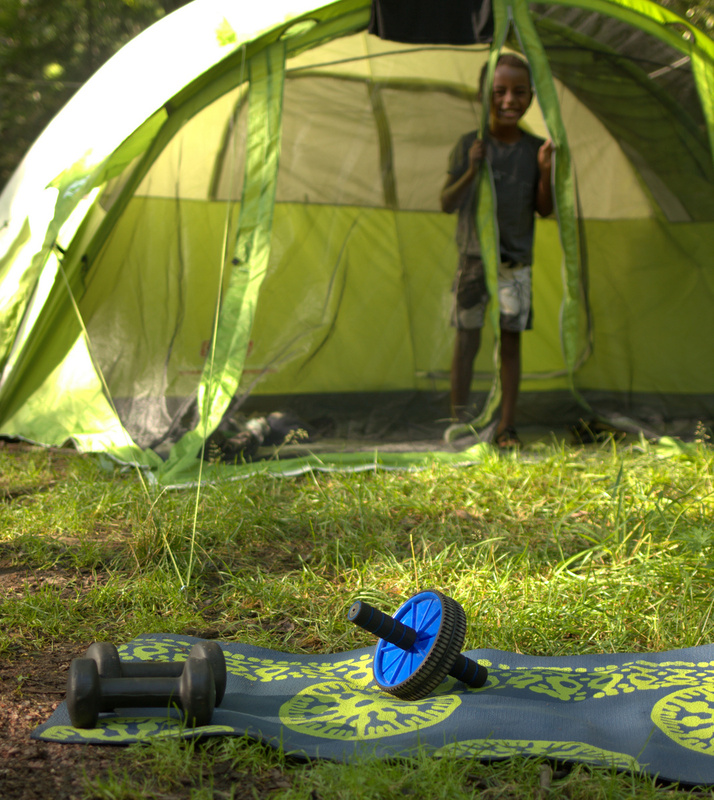 So awesome!I use to camp much more when my kids were little. What do you use to make your pitapockets? Would love to experiment with them. Will the spray repel ticks or do you not have them much there? OMG your kids are cute! Thanks for the packable ideas. 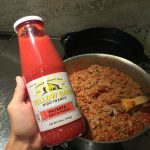 I’m looking at ways to pre-make keto foods for my work week. 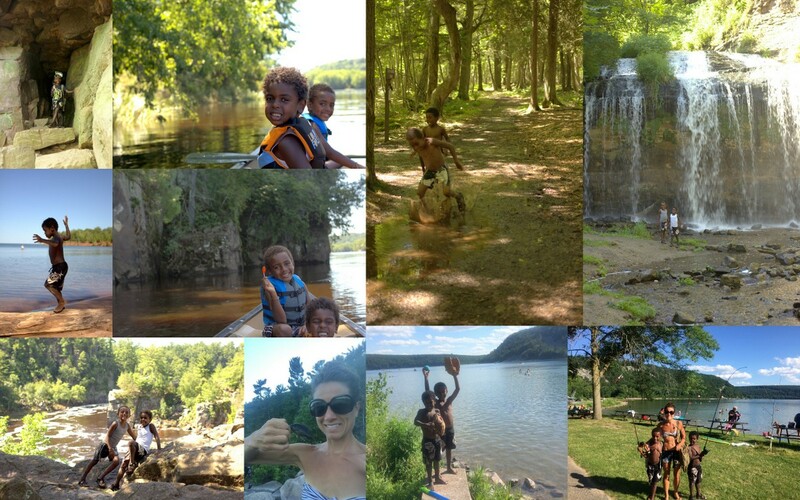 You know how to camp in style, look at the happy faces on those beautiful boys. I am going on a “vegetarian” mindfulness retreat and was wondering how I would keep my micros up. You really helped me with ideas to pack supplemental food and not be as anxious about falling off plan.